Zeb Wells sure is keeping busy. 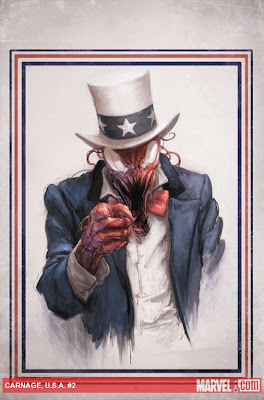 In addition to his new writing duties on The Avenging Spider-Man he will also be re-teaming with Clayton Crain to write another miniseries starring our favourite symbiote clad serial killer entitled Carnage U.S.A. 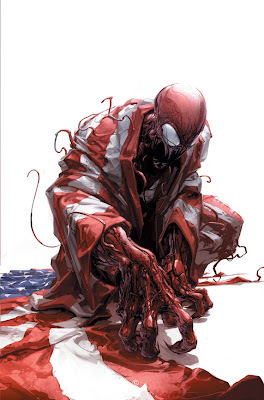 The series promises to take Carnage on a tour across the United States, where he will leave behind death and destruction wherever he goes, and it will be up to Spidey and the Avengers to stop him. 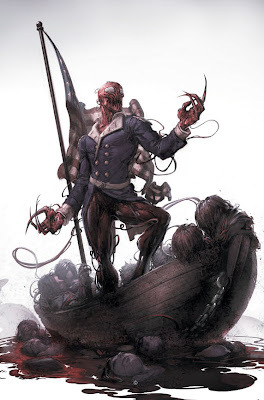 Carnage will also have a symbiote army. More Spidey work by Zeb Wells is always a good thing, and I'm happy to see Clayton Crain returning on art duties. Carnage U.S.A. looks to be a fun ride, even if it does sound like a book that could easily have come out of the 90's symbiote craze. It comes out in December.